Over the years I have sprinkled certain themes throughout my posts. I say them over and over because they work—not only for me, but for everybody. To save you the trouble of searching for what you might not know is even there, here it all is. This post summarizes my thoughts. If you do all these things (and there aren’t many) you will play better golf. When you’re standing over the ball, think of the swing as one unit from takeaway to finish. Impact is an event like another other along the way—do not give it extra importance. Swing at a tempo which allows you to hit the ball on the center of the clubface consistently. Your hands must lead the clubhead into the ball. They must arrive back to the ball before the clubhead does. With a chip and a pitch, think of sliding the sole of the club underneath the ball. Do not hit down on the ball. With a chip, use one swing and several clubs to regulate distance. With a pitch, use two or three lengths of swing (your choice) and several clubs to regulate distance. Hit the ball on the sweet spot of the putterface. Let the length of the backswing be the sole distance generator. Technique is less important than mentally bearing down the hole. No essay today. Just a few odds and ends that have come to mind lately. 1. That the forward swing begins with the movement of the left hip is beyond doubt, but what that movement is, exactly, is a matter of confusion. There is a slide and a turn. But which one comes first and how much of a movement is each one? Let’s make the matter simpler. Think of the first move forward as pushing your left hip straight back behind you. Now it cannot exactly go straight backward. To go back it has to turn somewhat and there will be a bit of a slide, too. Also, your weight will get off the right side early, like it should. By thinking about it this way, whether the slide or the turn happens first is no longer an issue. They will both happen at the right time and that’s all you need to worry about. If you try this, make sure the hip goes backward in rhythm. Don’t snap it back quickly. 2. A few years ago, the Play It Forward campaign was big. 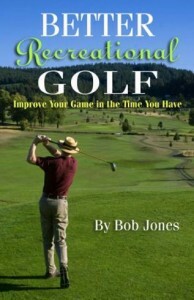 Play from the right set of tees and you will shoot lower scores and have more fun. There’s another reason why playing it forward pays off. 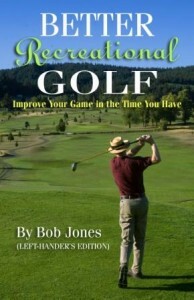 It makes you a better golfer over time. Because the course is shorter you will be hitting more shots that are within your ability to hit. This means you will learn how to score. Instead of always playing catch-up, you will always be on offense. You will learn how to dictate to the course instead of the course dictating to you. You might want to play for a while from tees that are too short, then back up with your new mindset. 3. A few years ago I talked to you about the clubs I used to chip with. It was a set that went from lob wedge through 8-iron. The chipping stroke I used was somewhat of a downward blow with a little bit of punch to it. Recently I have changed my chipping stroke to one that is more of a level brushing stroke. It gradually became clear that the clubs I calibrated earlier did not work well with the new stroke. Since the blow with a brush is not as sharp, the ball does not leap off the clubface as it does with the downward stroke. All I had to do to recalibrate my chipping set was to move up by two clubs. For example, where I had been using a lob wedge I now use a gap wedge to chip to a certain distance, or instead of a pitching wedge I use an 8-iron to send the ball an equivalent distance. 4. Remember that we play golf in order to have fun with friends. Of course we want to get better, but improvement occurs gradually. Having fun happens anytime we want to. First things first. When your swing goes south during a round, re-group. Play the next hole with your 8-iron. 8-iron off the tee, 8-iron down the fairway, then a lesser club to get you on the green, where two putts will get you a bogey. On the next hole after that, go back to your usual game and swing whatever club you use just like you swung the 8-irons. Close to breaking 100, or 90, or 80, but just can’t shed those one or two strokes? Play a round from the forward tees once, and break through. Now that you’ve done it, the monkey is off your back, and you can return to your regular tees and enjoy golf again. Anything you want to do with a golf ball, hit it straight, far, curve it, spin it, high, low, anything, starts with hitting it on the center of the clubface. That, is golf’s fundamental skill. Ben Hogan said that in the forward swing, you can’t turn your hips too fast. That is good advice as long as you do not swing out from under yourself. The hips turn, but they must carry the torso with them and not leave it behind. Try playing a round in which every shot into the green, from no matter from how far away, ends up past the flagstick, and see what that gets you. If you think a 6-iron will do, take a 5, grip down an inch and swing away. If you’re chipping, make sure the ball stops past the hole, not short of it. You score by getting the ball up to the hole, not by sneaking up on the hole. I really like 2s. When you put a 2 on your scorecard, everyone knows exactly what happened. A 3 could be several things, so could a 4, and a 5 could be a double bogey. But a 2 means only one thing. I like 2s a whole lot. It is true that the less tension you have in your swing the faster the clubhead can go. At address, you should be completely relaxed–not limp like a noodle, but have no tension anywhere. Most of us are OK on the backswing, but when the forward swing starts is where tension can come in, especially if you want to hit the bill hard. What you really want to do is hit the ball fast, and that means…no tension. I have found in my swing that the place where tension comes in and slows down my swing is in the muscles of the upper torso. If I keep this area relaxed, the clubhead screams through the ball with ungodly fury, yet it is still under control. Try it. Try keeping that part of your torso relaxed on the forward swing and see how much more clubhead speed you get. Just before you take your putter back, lift it up so the sole is off the ground and just touches the top of the grass. Now you can start your stroke. The difference between starting the stroke by swinging straight back and going up a bit first then back, is significant. Look at the two pictures below. Because there is a bunker near the pin, you really don’t want shoot straight for it. It would be better to start the ball closer to the center of the green and curve it into the pin. If the curve doesn’t come off, you’re still OK. In picture 1, you see how to set up for hitting a draw. 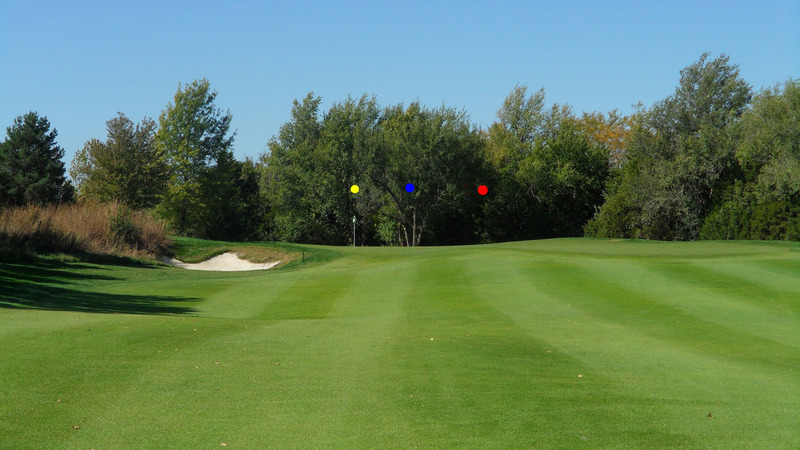 Aim your stance at the target (yellow circle), aim the clubface to the right of it (blue circle), and swing through the ball toward a spot even farther to the right (red circle). You may click the picture to enlarge it and see this more clearly. Even though the clubface is open to the target line, it is closed to the swing line, and the ball will curve to the left. To fade the ball, set up a show in picture 2. Aim your stance to the left (red circle) of the target (yellow circle), and aim the clubface between the two (blue circle). Swing through the ball toward the red circle. The clubface will be open to the swing line, start off to the right of it, and curve further right toward the target. 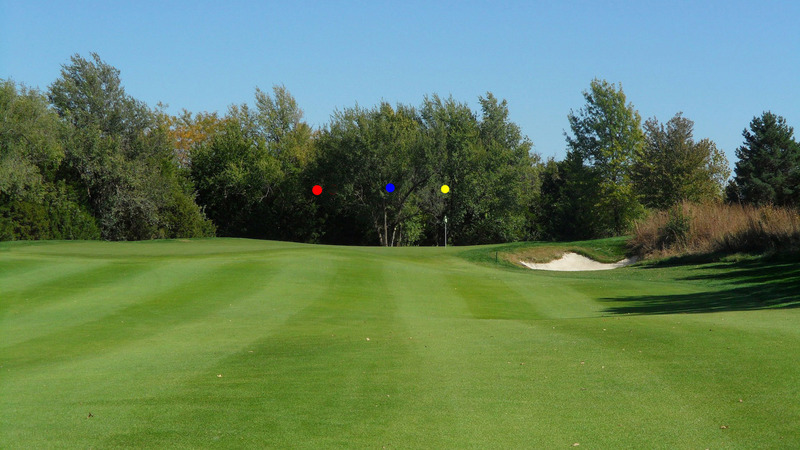 In both cases, it is most important that you think of hitting the ball straight toward the red circle. Do you see where the tree line in the background drops down to a low point behind the red circle? That is where you should think of hitting the ball, in each case. Your setup and swing path will curve the ball in the direction you want it to go. If instead you have the target in mind, you could unconsciously try to steer the ball in the direction you want it to go, ruining everything. Don’t get too caught up by the circles being unevenly spaced here. They might or might not be the exact positions for your golf, but their relative positions and their proximity to the pin are. Hit little draws, and little fades, not big ones. I was looking through a notebook I keep that contains notes from golf lessons I have taken. The last playing lesson I took emphasized the tee shot. My note says, “Tee shot is paramount to making par. Work on these.” So work on your driver, but work on hitting it straight, not far. If you can hit your irons straight, but not your driver, get a lesson. You’ll never figure it out yourself. There are several other notes that pertain only to me, but another general note is, “Make your targets very precise from the tee and the fairway.” Think not only of which direction you want the shot to go, but on what spot do you want the ball to land. And it’s a spot, not an area. You know the bottom of your swing needs to be ahead of the ball. How do you do that? I practice this indoors with a fairway wood. I set up and take note of the place where the leading edge of the sole is. Then I make a slow-motion swing and try to lightly tap the rug with the sole of the club ahead of that place when I swing through. Hint: if you’re not getting your weight to the left in the forward swing, and early in the forward swing, you won’t be able to get the club out there. I’ve been playing around with a short stroke for short putts this past week. It started out as the old pop stroke, but I quickly found out that the rapid stroke and percussive hit the word “pop” suggests is the wrong way to go about it. I’m finding success with a rhythmic stroke that nudges the ball to the hole. That might be a better starting point for you if you want try this out. I should also mention my upper arms rest against my sides for security. The advantage of a short stroke (about six inches for a 10-foot putt) is that the clubface stays square throughout. I’m only using this stroke for short putts I think I can sink. For longer putts, I go back to my sweeping pendulum stroke and the TAP method. I read a tip in a current golf magazine that I thought might help. So I went out and tried it. The results were terrible. What I realized very quickly is that I was already doing what the tip suggested. In trying to follow the tip I did more of it and that was too much. Beware of tips you read in golf magazines. A few days ago I got a wake-up call. I was doing business at an end of town I don’t spend a lot of time in, but which has a driving range nearby. So I took along a putter and a ball to get a little practice in before I went back home. I get all of my putting practice on the green at the range where I normally go to. If you saw me putt on this green, you would say that I’m a very good putter. I make putts from all over the place, and I go around the putting clock and never three-putt. On this new green, I couldn’t do a thing right. I was three-putting from twenty-five feet about half the time, it was hit-and-miss with four-footers, and my distance control was just nowhere. I realized that I putted so well on my usual green not because of things that I thought made me a good putter. They didn’t have anything to do with it. I had merely unconsciously memorized the green. That’s it. So when I went to this new green, I didn’t have the skills to handle the differences in green speed and contour. I play the same courses, and I putt very well on them, because I have memorized their greens. It all adds up to having become lazy. An under-appreciated aspect of the way Tour pros play the game is that their golf travels. They play different courses every week, that require different shots, that provide different responses to the shot, and you know what? They don’t care! The adapt after a practice round or two and it’s off to the birdie-fest. 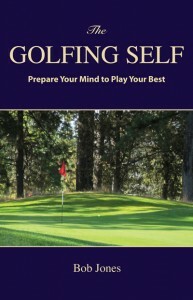 You improve and become a Golfer by having skills that hold up under any condition. Looks like I have some work to do. How about you?